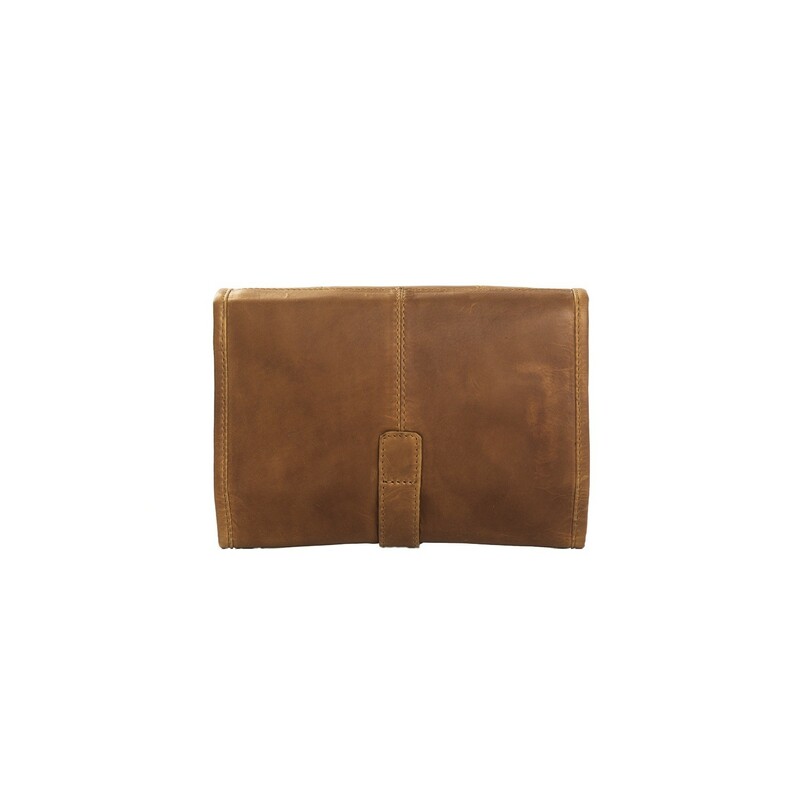 Stylish and practical leather hanging toiletry bag Ambon. 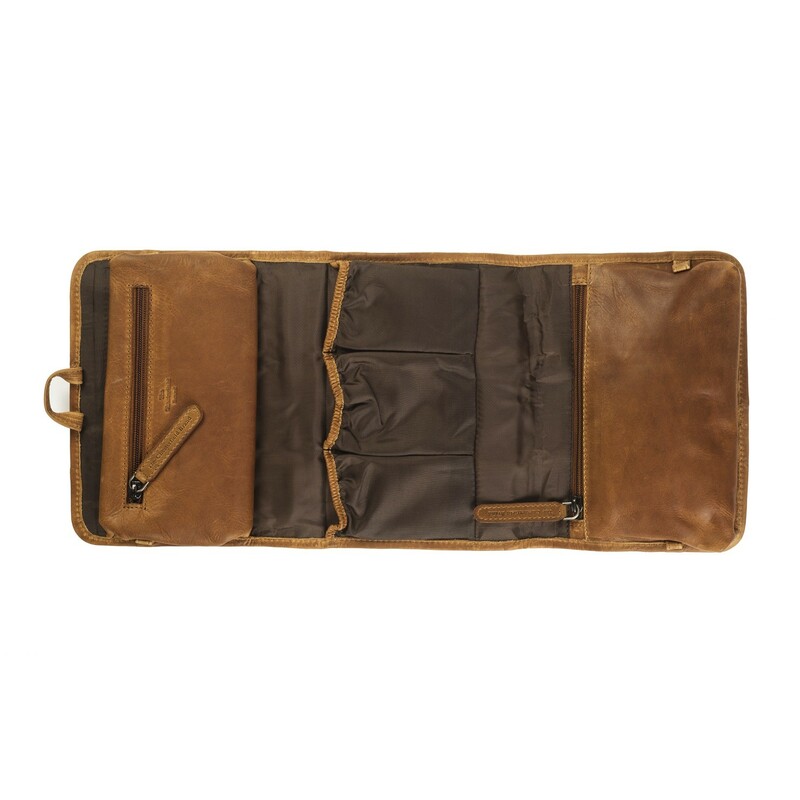 You simply roll out this toiletry bag and hang it in any dry place. You simply roll out this toiletry bag and then hang it up wherever you like. The perfect solution to take your toiletries with you on holidays, city trips or a business trip. The handy hanging system prevents the toiletry bag from becoming wet or dirty. On the inside, this toiletry bag has several storage compartments. Including 2 with a zipper. The inner lining is made of synthetic material and is therefore easy to clean. 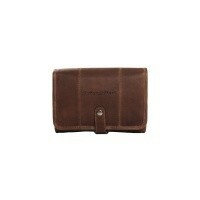 This Chesterfield hanging toiletry bag made of high quality Wax Pull-up leather. 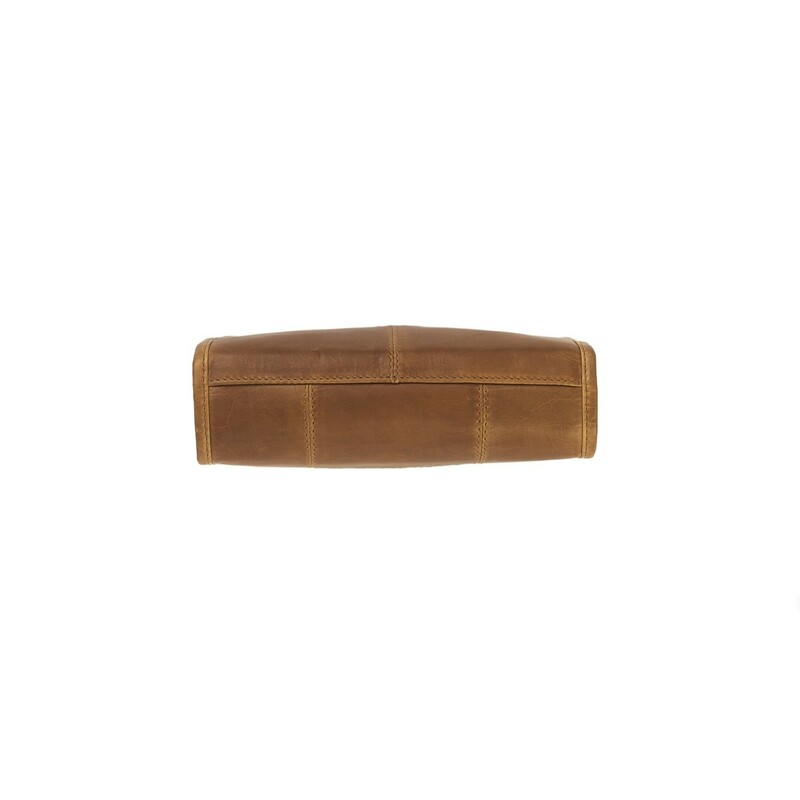 This high-quality leather is characterized by a soft structure and smooth finish. 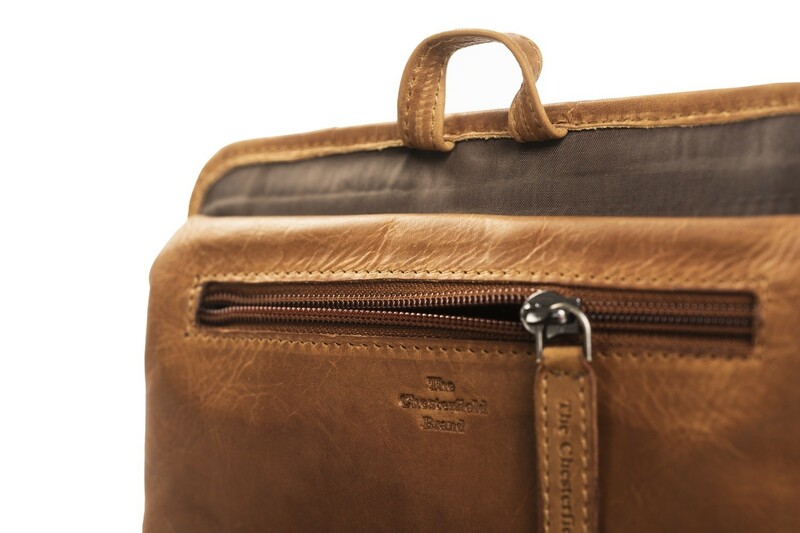 You can easily rub away any signs of wear and, with proper maintenance, your leather toilet bag will remain looking as new for years. If you have any questions about this toiletry bag or other products from The Chesterfield Brand do not hesitate to contact us. We are happy to tell you more about our beautiful products.